Defunct proprietary New York-based digestive bitters brand of presumed cardamom character called for in 19th century cocktail guides as aromatic bitters. No evidence of manufacture after Prohibition, or indeed after the advent of the 20th century. Bogart's Bitters is a corruption of Boker's Bitters. It's first ever mentioned bitters in the very first cocktail book "The Bartenders Guide" published in 1862 by Jerry Thomas. Recreated by different brands in 21st century. 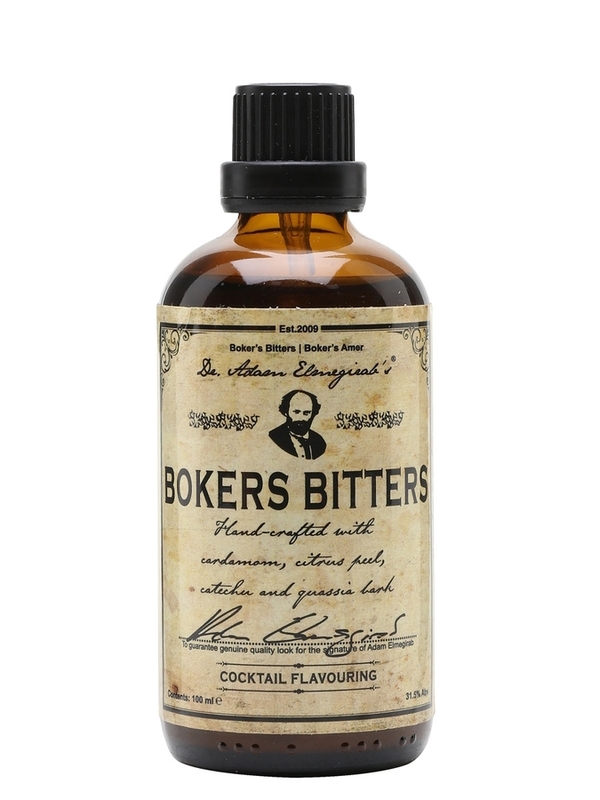 Notable brands: Dr. Adam Elmegirab's Boker's Cocktail Bitters(on photo), Boker's Bitters by San Francisco Bitters, and The Bitter Truth Bogarts Bitters.